Analysis paralysis. This catchy phrase describes a state where too many options lead a person to overthink a situation, causing the circumstances to become ‘paralysed’ and resulting in no action. In many ways, our super-connected world of today suffers from such a problem of plenty – what should we watch on Netflix (or browse the options on Amazon Prime instead? ), what do we order from Swiggy or Zomato, should I buy from Amazon, Flipkart, Myntra, some other website? The world of investments and finance is no different, and the accumulated wisdom since the early 20th century has today resulted in countless investing strategies to follow or choose from. Value, Growth, Dividend Income, Absolute Return, Smart Beta, Momentum, Pairs trading, Contrarian – these are only some of the investing styles that have gained popularity over the years. How does one go about identifying a good strategy for building long-term wealth? There isn’t one right answer, but learning from & following the strategy of an investor who generated an annualized return of more than 40% between 1985 to 2006 certainly sounds like a great start. Joel Greenblatt, who started his hedge fund Gotham Capital in 1985 and which later become Gotham Asset Management, has created immense wealth for himself and his clients since 1985, comfortably outperforming the S&P-500 in most of these 30+ years. As a student at Wharton, Joel discovered the works of Benjamin Graham, specifically his “Net-Net” formula of finding companies to invest in, and found the strategy to consistently make money. In a lecture at one his classes at Columbia Business School, Greenblatt says I was always interested in not working that hard…so if there was a magic formula that could make a lot of money, I thought that’d be a great thing. With the stock market booming in the early 1980s however, he soon found that Graham’s formula didn’t work anymore. But he subscribed to the value-investing philosophy, and went about identifying what could work in these modern market conditions. The rest, as they say, is history! In 2005, Joel published The Little Book That Beats the Market in which he described his winning strategy, calling it the ‘Magic Formula’. The magic formula invests in the stocks with the highest earnings yield (the inverse of P/E ratio) and return on capital (RoC), with a few minor adjustments – Greenblatt uses Earnings Before Interest & Tax (EBIT) instead of Net Income, and Enterprise Value (EV) instead of market capitalisation to calculate these. Utility and financial stocks are often excluded from the universe, mainly due to the high leverage that is normal for firms in these sectors. Identifying stocks that meet all of the above criteria requires using stock screens and domain expertise. While many seasoned investors and investment professionals replicate this strategy on their own, the same can be quite time-consuming for retail investors – which is why we created the Magic Formula smallcase. The research process employed in creating and maintaining this smallcase is mentioned on the smallcase page here under the Methodology link. A few additional criteria are employed to adapt the strategy for the Indian markets. Joel Greenblatt himself admits that this magic formula won’t always work in all types of market conditions – according to Greenblatt however, investment is not about learning and adopting intricate strategies, but it is about realizing the best approach and sticking to it in good and bad times. He recommends giving any approach at least 2-3 years for it to play out. 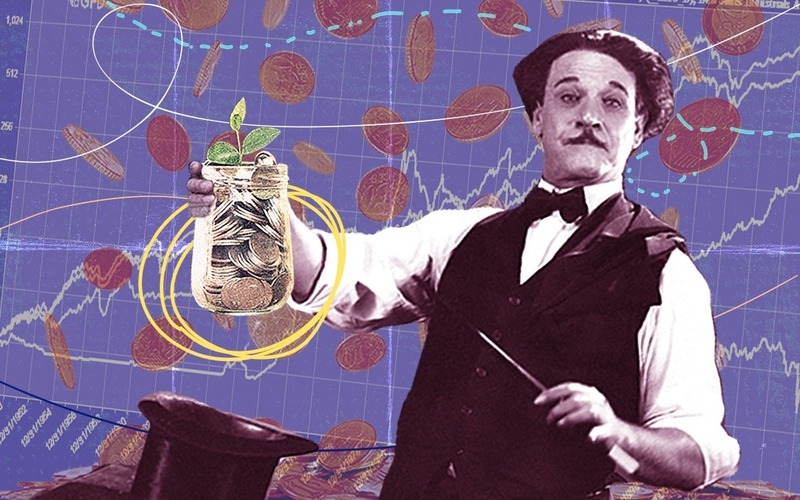 There aren’t many investors who have consistently generated 30-40% returns every year over decades – and even fewer who go on to offer investment advice and their secret sauce to retail investors. Joel Greenblatt is one of those rare investors who shared his “magic formula” and provided investors with his winning strategy.